Everyone in their caravan had a job to do. There were the cookers, the bakers, and a few candle-stick makers. And she was very glad not to be the laundress! There was so much heavy work to be done when you were the laundress, which felt over-whelming to her. Locating the water source alone, once the caravan settled in to a new campsite, was itself daunting. 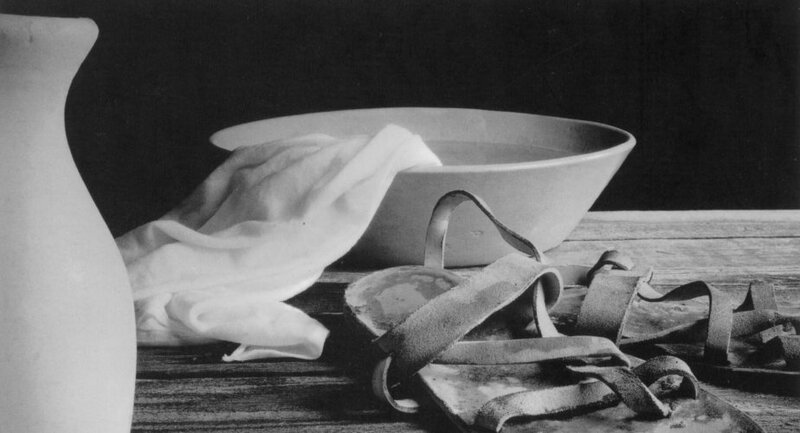 Which most times involved carrying jars of water to & fro for miles before the actual duty of washing the garments even began! It amazed her that 3 of the tiniest women in their community had been chosen. But she never heard them complain. They seemed as well suited and grateful for their assigned task as she was with her weaving. She loved her loom. She loved the way it clickity-click-clicked as she ran the strings between the loom and pushed down on the foot peddle while pulling the smooth wooden bar across the top to matt the rows tightly together. She could hear the rhythm in her sleep most nights. 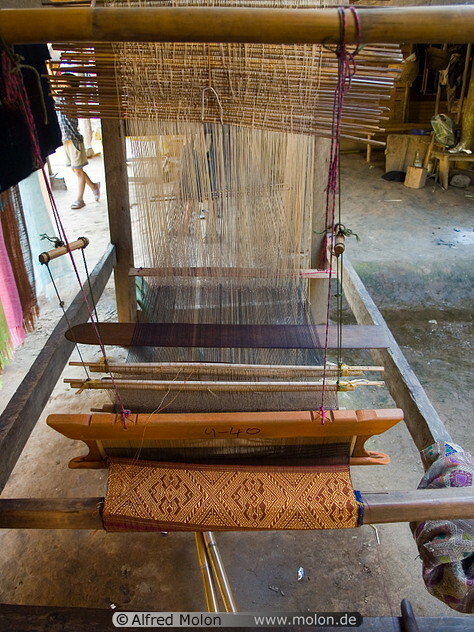 Her favorite thing about being the weaver was the process of establishing her loom area upon arriving to their newest location. Just like the women searching for their water source she would immediately seek out the perfect location to assemble the loom. Preferably beneath a tree to offer shade throughout a full day of weaving! Only after setting up her area, with fully assembled-loom and neatly stacked threading baskets, would she then begin to unpack the few personal belongings she owned. She was always sure to keep everything very close to her loom; so that whether it was looming late into the night or arising early in the morning to finish her current project, she would waste very little time. It seemed there was always someone in need of cloth! Just this morning one of the men whom they were following, one of the Twelve, approached her in need of a new cloth. He explained to her that their Master would be in need of a cloth for the passover meal that very night and it need only be large enough for washing. He also asked would it be possible to pick the finished cloth up by mid-day, as he needed to take it with him when he and one of the other Twelve would travel into the nearby town. The caravan had camped not too far outside the gate and the two needed to depart later in the day to set up the room where their Master had arranged for them to share the Passover Meal together. Even though it was already late in the morning she assured him it would indeed be ready when he returned. She had only seen the Master twice since joining the caravan herself. There were always so many people following Him that it was difficult to draw near; but she loved listening to His gentle voice travel through the breeze as He spoke. She had already learned so much from what He said, it was no wonder everyone referred to Him as ‘Teacher.’ And she found herself praying often, to find this same peace He taught so much about. He spoke often of doing the Father’s will and wondered would she ever know with such certainty God’s plan for her, as He spoke of? Not wanting to waste too much time in thought she hurried along content in knowing that for today she need only be concerned with making a cloth, no bigger than the size of a towel! As well as several other requests she’d received that morning! Since she knew there were but a few hours until the disciple returned, she set to work on the Master’s cloth first. As she looked through the many baskets of thread neatly stacked around her loom, there was a pull on her heart to use a particular spool she’d been setting aside for a special occasion. This unusual thread was unlike any she had spun before! To the naked eye it looked like any ordinary white thread. Yet she knew with the equal combination of strength & softness which seemed to form as she spun, one day it would be woven into something very special indeed. Today she would finally weave this thread into a piece of cloth to be used by the Master. She hoped he would be pleased. Later in the day, when the man returned, she was already working on her third requested item of the day; which was a new tunic for a little boy who’d had a sudden spurt of growth! As she’d worked throughout the day, she found herself wondering persistently, “Why did the Master need a new cloth for the Passover dinner?” This normally should be an item the householder would have provided. But before she could even ask, the man politely thanked her for the beautiful job and dashed off to meet one of the other Twelve. She heard him saying they needed to hurry into town to meet a man carrying a jar of water by the edge of the city, who would lead them to where they were to eat the Passover with the Teacher. That evening, as she put away the left-over threads from another busy day of weaving, she silently wondered if she would ever know why the Teacher requested the new cloth and was he pleased with what she had made? The next morning the caravan awoke to terrible news of the arrest of the Master and scattering of the Twelve in the night, shortly after the Passover was finishing. They heard the arrest occurred in a garden area where the Teacher liked to go away alone to pray, called Gethsemane. As quickly as the news spread, everyone was breaking down camp in an effort to travel the short distance into the city to assist in whatever way possible! She knew she would never be able to depart with the caravan, due to how much time was necessary to take down the loom. She instructed everyone to depart ahead of her and she would meet them as soon as the loom was packed for her to carry. She assured them she would not be far behind and they could tell her what needed to be done once she arrived. But she never had so many problems deconstructing the loom before, as this! Maybe it was the anxiousness to be with the rest of the caravan, or the worry she had in her heart for the Teacher and his twelve disciples; but for one reason after another something; which normally she would have been able to do with her eyes closed shut, now seemed filled with problems. At last she was on her way! Filled with worry she knew, by the location of the sun coming down in the sky, it was close to 3pm as she departed. She would barely make it into the city before nightfall and she could not escape the terrible grief that filled her heart. There was no way to explain the immense sadness to herself, except to know that something terribly wrong must have occurred. When she finally reached the city with the loom in its sack tied tightly to her back, she knew the grief she was feeling earlier was justified with the wailing in the streets by many whom she passed. She was able to piece together the day’s terrible events as she walked further into the city and crowds of people gathered together to discuss all that had happened that day. Could she ever have imagined that the Master would have been betrayed by one of his very own? And that very morning, having been brought before Ponticus Pilate their governor, sentenced to death and later crucified? Why would anyone seek to crucify the Master? She had only seen kindness & goodness from Him. His most spoken messages were only of love, forgiveness, and following after the Commandments of the Father. Reeling from the shock of this discovery she was just about to fall to the ground from the weight of it all when suddenly, one of the Twelve brushed quickly past her. It was the One who had asked her to weave the new cloth just yesterday! Surely he could confirm if any of this was indeed true! Within minutes she noticed the man quickly going up the outer staircase of a nearby home to an upper room and instinctively found herself following after him. As she struggled to push past the people beginning to crowd the streets, she at last managed to reach the upper room where she had watched the man disappear into. Practically falling into the darkened space; due in part to her quick pace, along with the weight of the loom she was still carrying upon her back, she found the man huddled on the floor in tears. It was then she knew all that she’d feared was indeed true. After some time the man arose and walked over to a low table in the middle of the upper room. She had not even noticed it there until just then. There were still several plates, a cup, and a dipping bowl set at the table; as well as a loaf of broken bread. She watched the man bend down toward a basin near the edge of the table and that is when she recognized what he stooped over to pick up. The cloth she had just loomed not more than a day ago. Walking over to her and placing the cloth tenderly in her hands he recanted the story of the Passover meal they shared the night before. It was to have been their last evening together with the Master. all along, it had been the will of the Father. After finishing the story, and helping to wipe the tears which fell from her eyes, the man shared he expected the other ten to be arriving soon. Mary, the Master’s mother, would be with them also. He invited her to stay with them, but she knew this was her moment to depart. With tears filling her eyes once again, she began walking down the outer staircase carrying the cloth tenderly in her hands. Suddenly, an unexpected peace filled her heart. This was the peace the Master spoke of! The peace which came from following the will of the Father…. Who gave the very best offering of herself. hugs n’ peaceful blessings as you offer up your very best…to Him. Previous principal of fun school!